Join us for an exploration of your authentic voice and intuitive expression in a supportive circle of women. We will breathe, sound, sing, and share together, blessed by love-alchemized ceremonial cacao and the wisdom of our hearts and wombs. During this adventure, we will lovingly investigate the stories and beliefs around our individual voices and ignite compassion, courage, and gratitude in our energy fields to support our journey of reclaiming our powerful expression! Potent alchemy awaits you with embodied sounding, vocal activation, ancient toning practices, devotional song, and deep listening. Your guides for the day will be Maggie Taurick & Diana Egizi. MAGGIE TAURICK is a yogini, designer, and carrier of sacred sound. She has been practicing yoga for over 13 years and is forever a student, constantly deepening her practice and exploring ways to integrate it further into her life. This exploration has led her to the unique combination of sound and cacao, which she became immersed in while living in Guatemala. With the help of these tools, she guides students to recognize the infinite wisdom within them; bringing more intention, freedom, and awareness to their daily lives. DIANA EGIZI is a nomadic sound medicine devotee, cacao ritual facilitator, and priestess of radical self-love dancing the path of heart-centered, courageous living. Under the name "Inspired Heart Alchemy", she facilitates dynamic ceremonies, workshops, and events, inviting us all into expansive and mindful expressions of our multi-dimensional being. 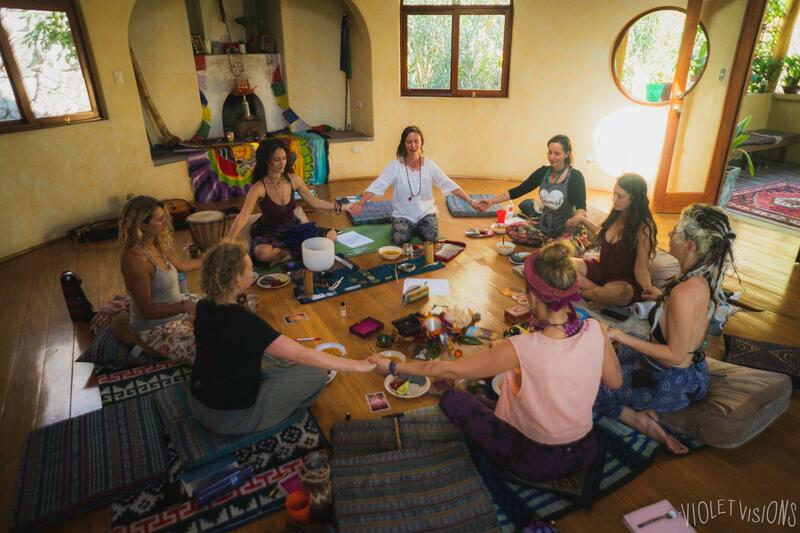 She has been working intimately with the alchemy of sacred sound and ceremonial cacao for nearly three years, facilitating cacao-infused song circles, vocal activations, meditation, yoga asana, sound healing journeys, and more. She is a 200-hr Hatha RYT, Usui Ryoho Reiki practitioner (associated with Firefly Society of NYC), and self-studied Tarot reader. Other popular offerings include embodied creativity workshops and vocal empowerment sessions.